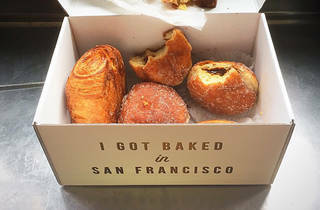 “I got baked in San Francisco,” reads the fuchsia neon sign adorning Mr. Holmes. 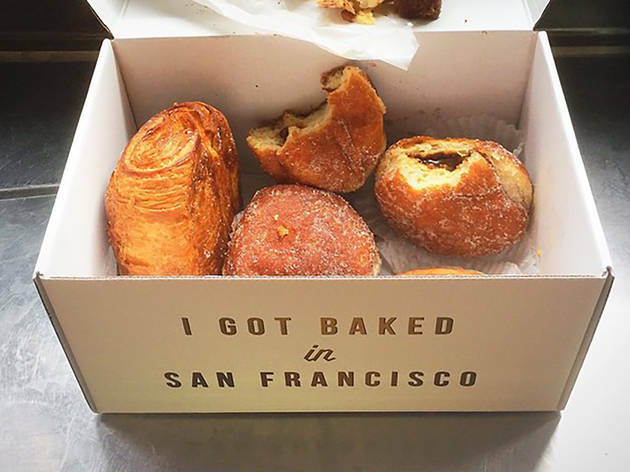 The bakery went from a tiny Tenderloin newcomer to a viral foodie destination with the invention of the cruffin, a cream-filled cross between a croissant and a muffin. Mr Holmes' donuts are equally enticing, with sweet, pillowy dough surrounding a creamy core filled with rotating flavors like matcha or passionfruit. If you want something more out-of-the-box, look for the cornflake cookie, an addictive concoction made with brown butter, toffee, and cereal. Quite possibly my favorite bakeshop in the city - yes, I know there are other great ones as well, but Mr. Holmes offers a variety of pastries with innovative flavor combinations. I love their cruffins and donuts (which have a flavor schedule that is updated via their Instagram account). Lemon curd, chocolate, vanilla, passion fruit, matcha - these are just a few of the different flavors that they make. They also have matcha croissants, savory bacon and blue cheese danishes, strawberry and jalapeno muffins, etc. Mr. Holmes has something for everybody and the line is always worth the wait.